With two new GS Adventures and stacks of middleweights, we’ve never had so much choice. At the launch of the new R1250GS, BMW said that unlike previous years the GS Adventure version will be on sale almost straight away, too. With the F850GS Adventure also believed to be imminent, that means BMW will be bringing us two seriously capable off-roaders in one year. They’re not the only ones either; in fact it looks like 2019 could be a bumper year for the super off-roaders. Ducati are expected to pull a similar move as anyone currently buying the Multistrada Enduro or Enduro Pro is getting the old engine, rather than the new 1260. 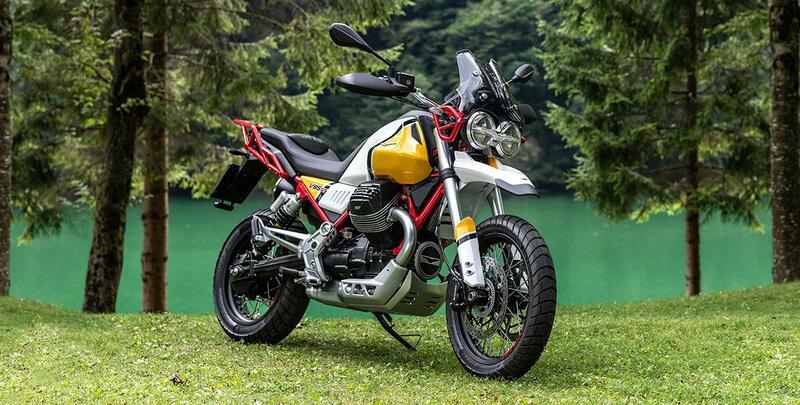 Meanwhile it’s still strongly denied that the firm will create an Enduro version of their 950, which is a real shame, especially in light of the imminent arrival of more sub-1000cc adventurers. KTM have the potential for a huge year. The much-previewed 790 Adventure is a dead cert, with factory leaks revealing that a range-topping 790 Adventure R will also be launched simultaneously. We’ve also seen spy shots of a 1090 replacement (dubbed the 1150) which we expect to see at the end of 2019 as a 2020 model, while a new 690 Enduro – complete with the twin-balanced engine from the Husky 701 – looks set for a January launch. Following on from the Dakar theme, Yamaha are expected to finally release their MT-07 derived Ténéré 700, and we’ve already seen Guzzi’s retro racer V85TT. Slightly more leftfield is the October launch of Triumph’s new Scrambler 1200. Expected to arrive in spec levels, we’ll see it the real deal on October 24. Rumours also abound that Royal Enfield is poised to fit their new 650 twin in the Himalayan, bringing yet another take on the adventure bike to our market. Where once the superbike world was the cutting edge of innovation, now the adventure bike is where it’s at. But these things aren’t heavy old touring bikes with some off-road dress up parts, all these bikes should be well at home in the mud.